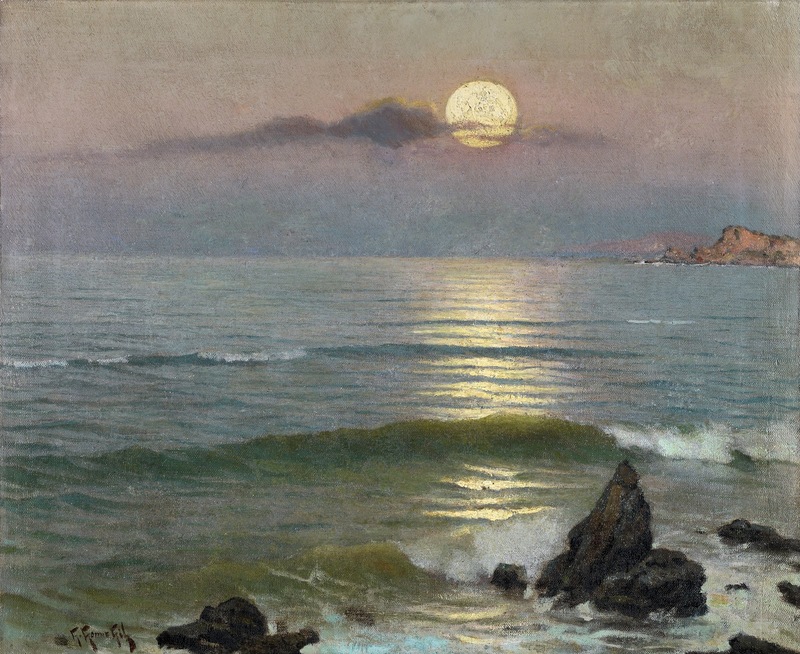 Guillermo Gómez Gil [1862-1942] was born in Malaga in 1862. 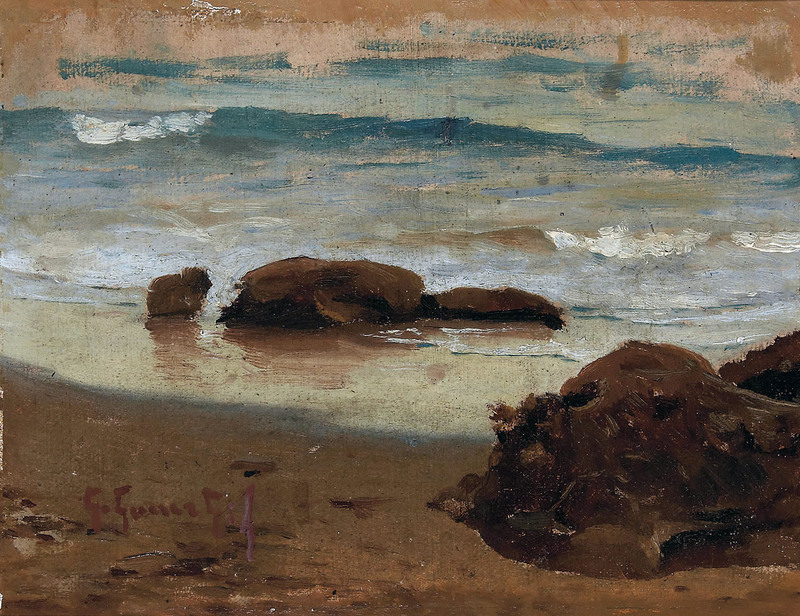 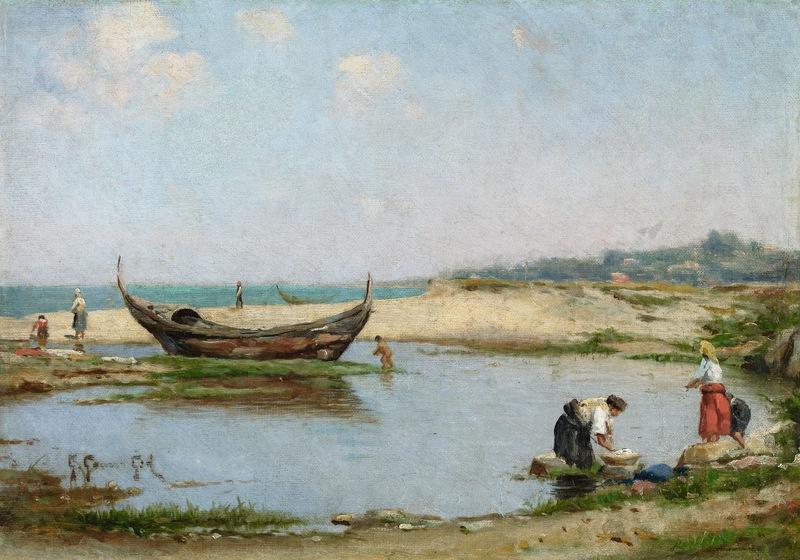 He showed an interest in art from a very early age and began training as an artist in 1878 as a pupil of the San Telmo School of Fine Arts in Malaga. 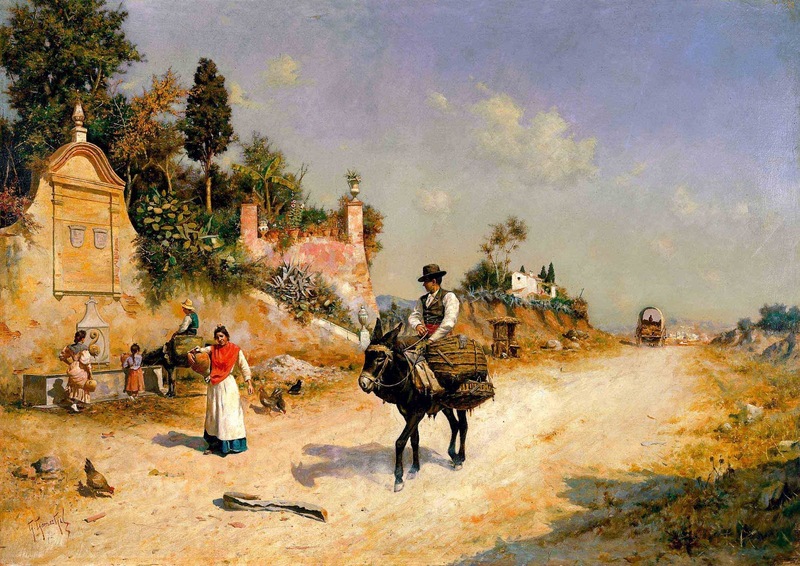 He must have made good progress as he ventured to compete for the Barroso prize awarded by the council as an incentive to students of the school, although he did not win. 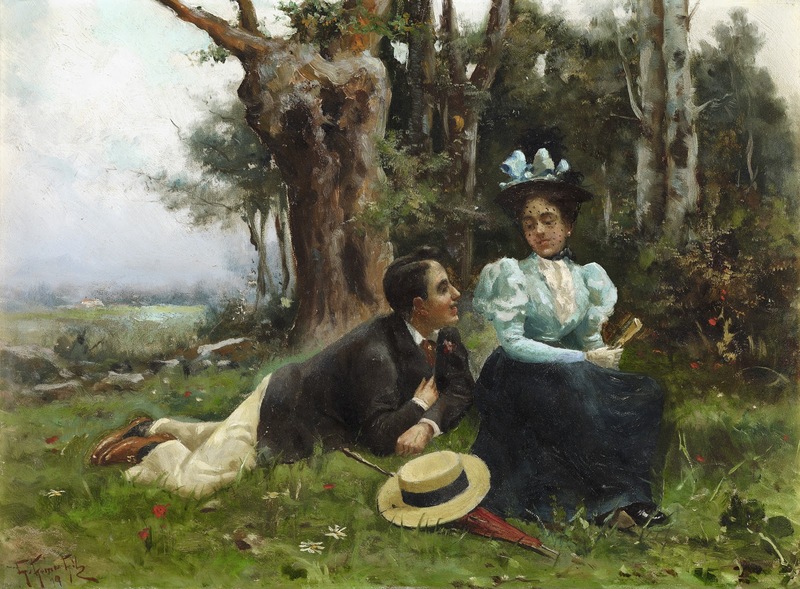 He tried again in 1881 and was equally unsuccessful. In 1880 he took part in his first group show, the Art, Industrial and Agricultural Exhibition organised by Malaga council. 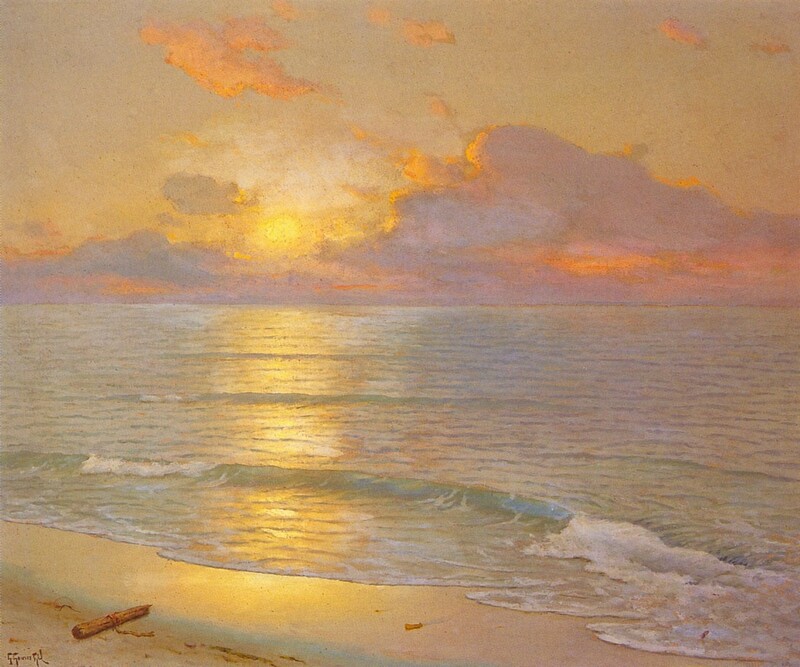 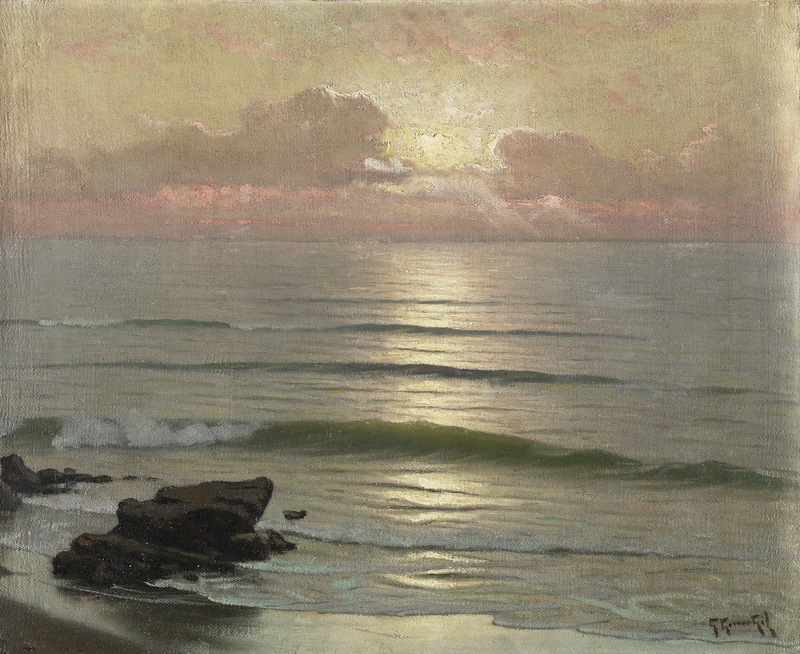 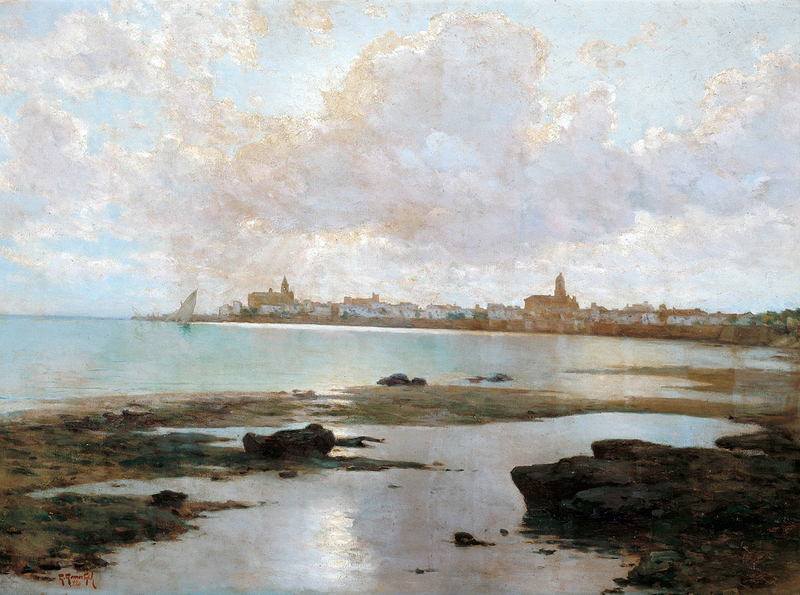 The works he entered attest to his preference for seascapes as they were entitled Puesta de sol (“Sunset”) and Marina (“Seascape”); the former was acquired by the council for 375 pesetas. 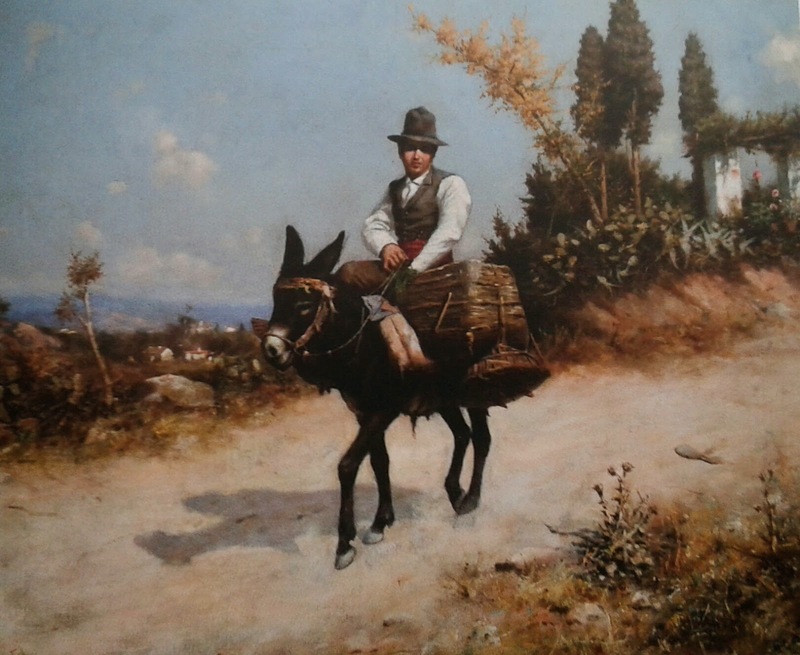 From 1881, when he was living in Malaga, to 1892, the year he is recorded as taking part in the National Exhibition in Madrid, there is a thirty-year gap during which his activity is unknown. 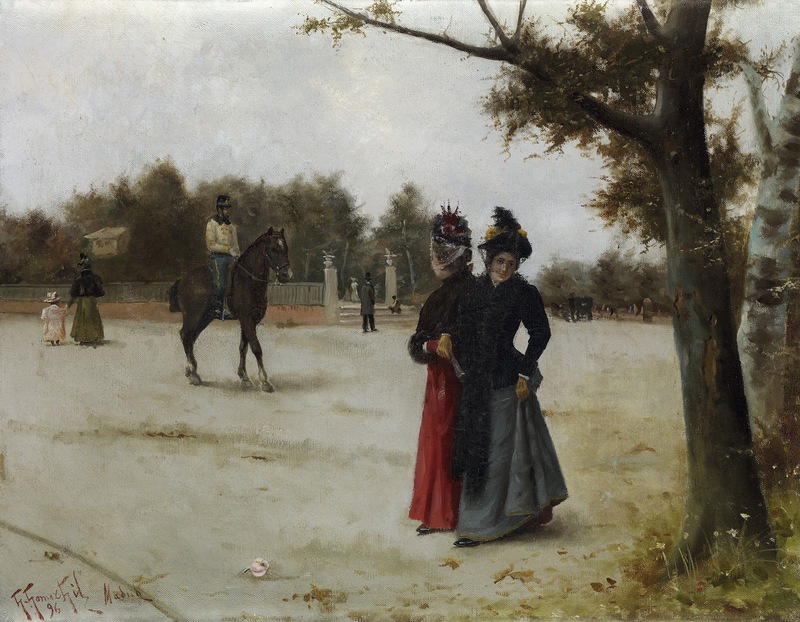 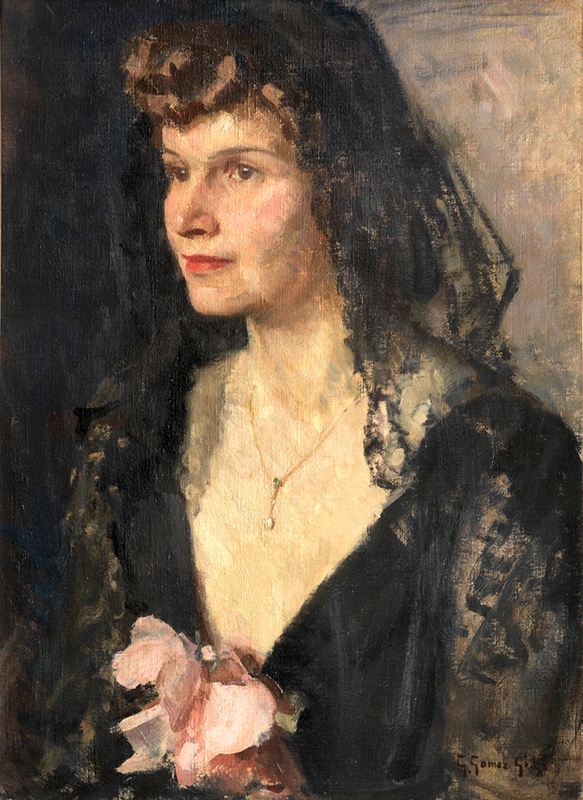 It may be assumed that on finishing his studies in Malaga Gómez Gil moved to Madrid, as in 1892 he is mentioned as residing in the capital in the catalogue of the National Exhibition. 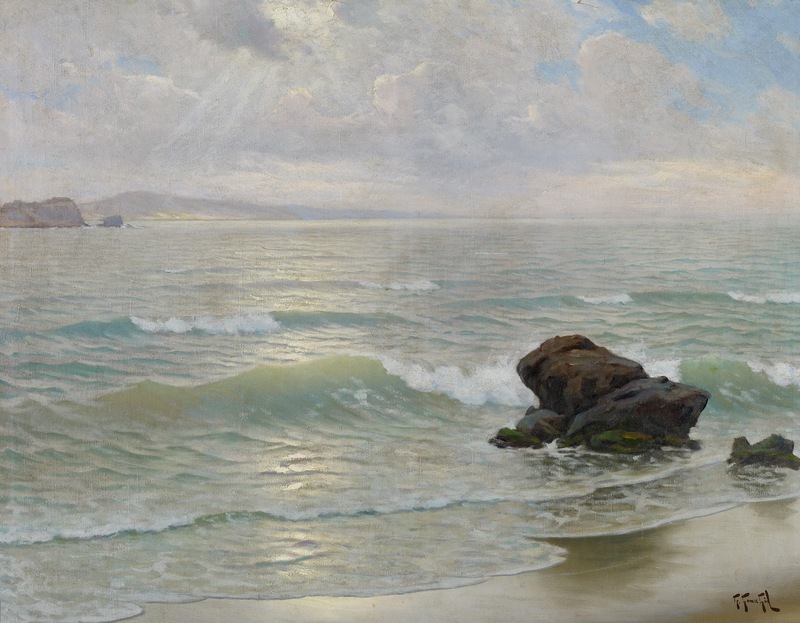 Indeed, from then until 1910 he took part in all the National Exhibitions without fail, as recorded in those of 1892, 1895, 1897, 1899, 1901, 1904, 1906, 1908, 1917 and 1926. 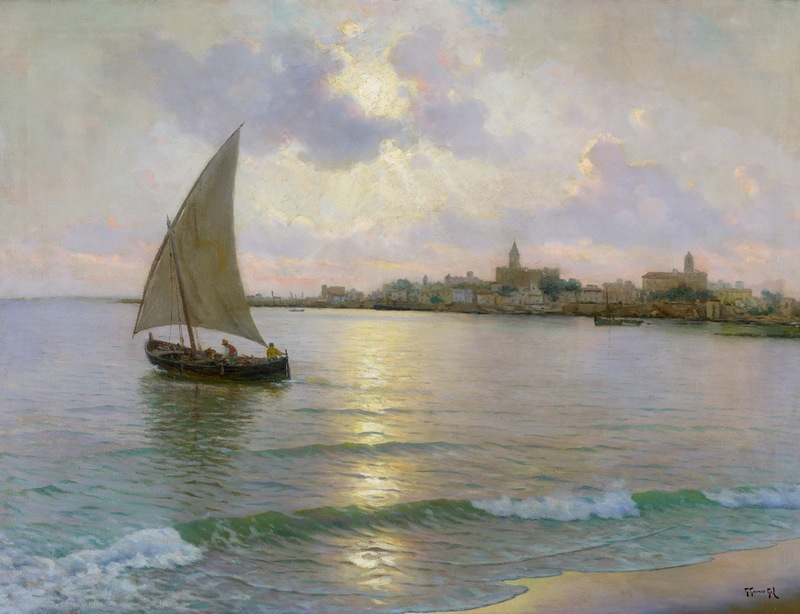 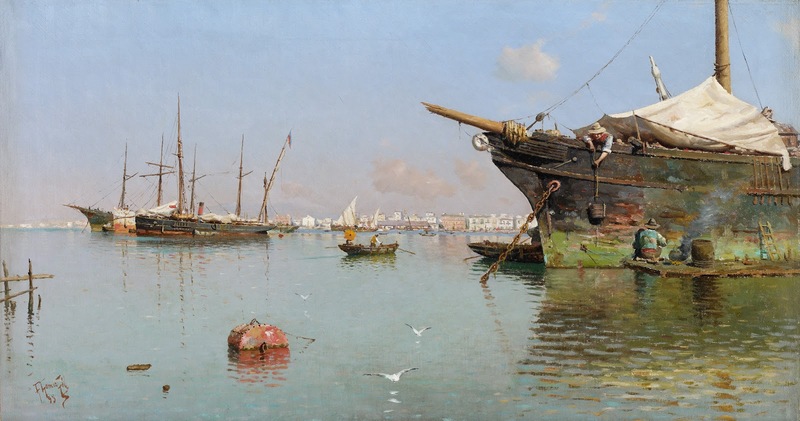 The works he entered were all seascapes except for Un pasatiempo árabe (“An Arab Pastime”), an Orientalist genre painting submitted in 1895, and the two flower paintings he showed in 1899. 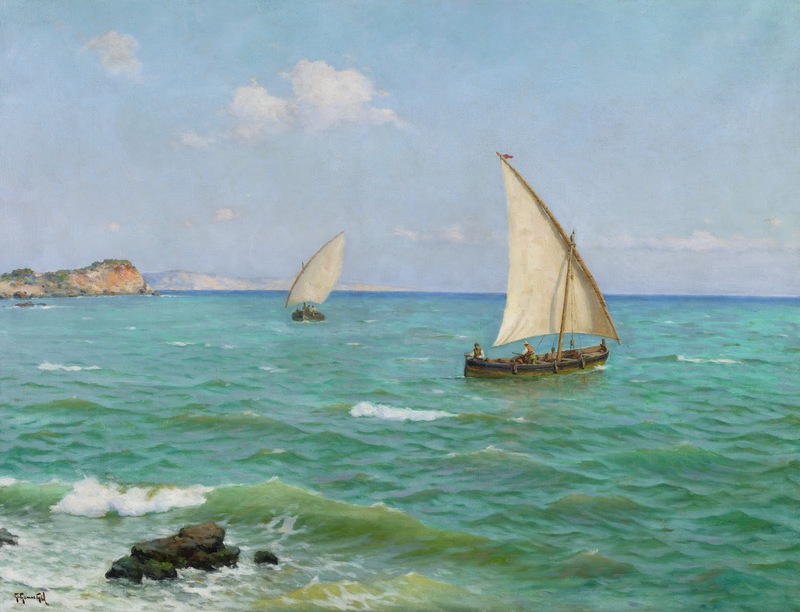 In both cases these works are exceptions in his oeuvre. 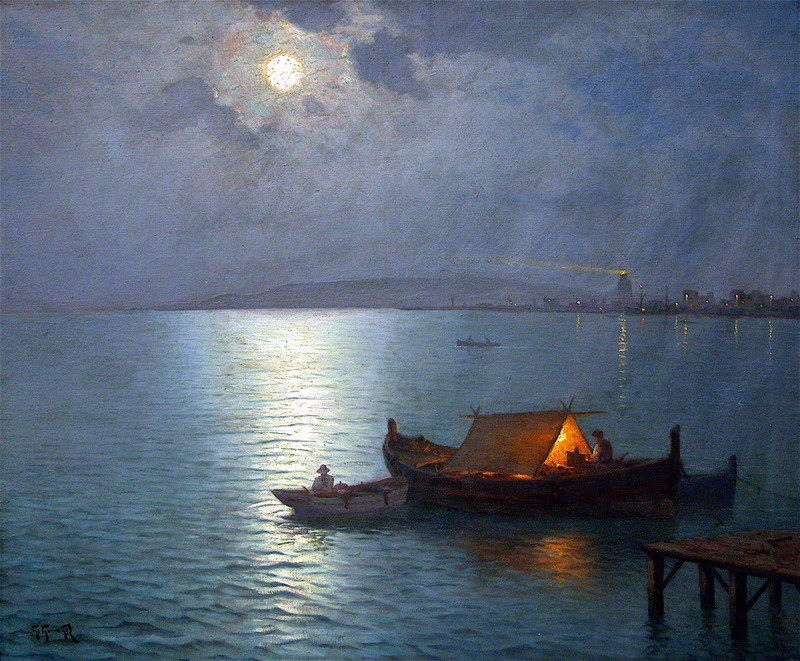 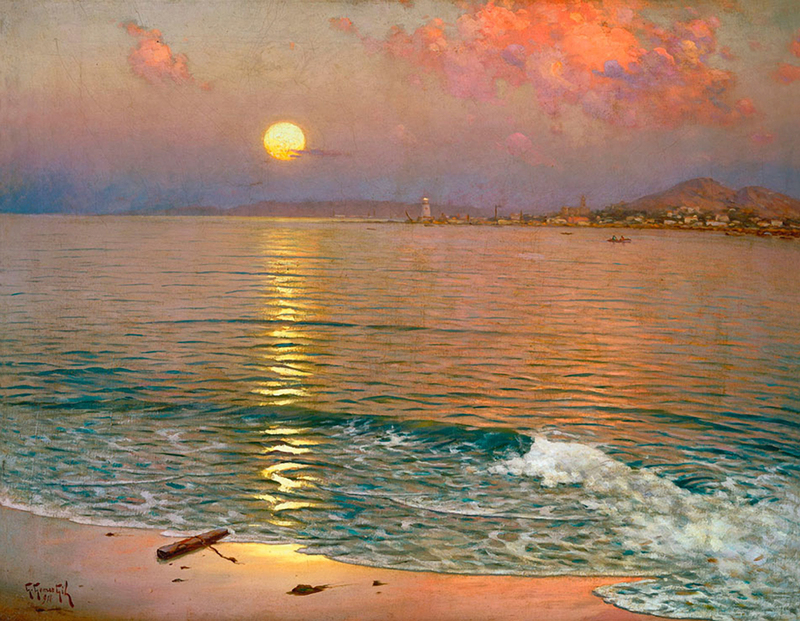 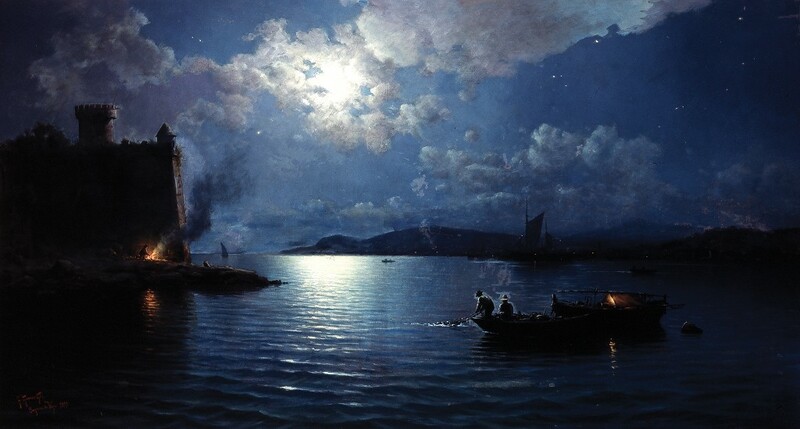 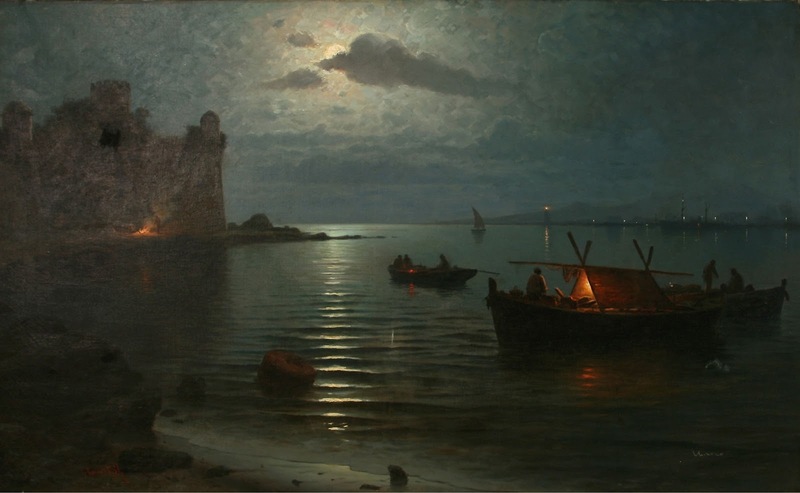 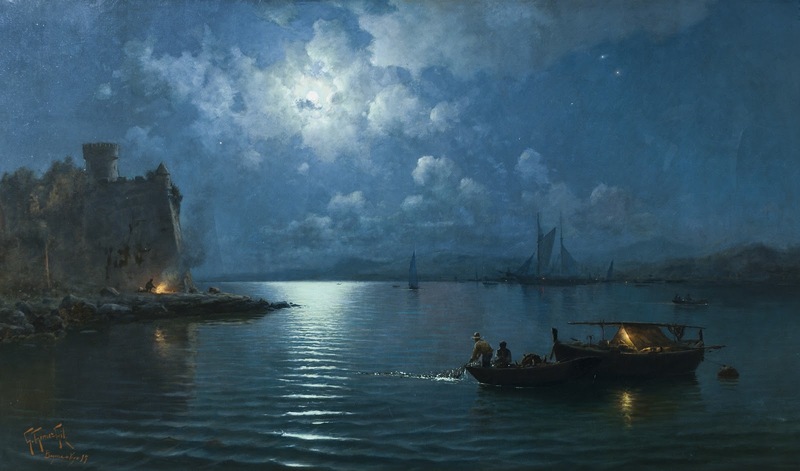 His style earned him the recognition of the official circles and in 1892 he was granted a special honorary mention for the three works he entered in this exhibition: View of the Port of Malaga, Effect of the Moon and A Squall; in that of 1897 he won a medal third-class for Effect of the Moon, which was acquired by the state and is now housed in the Diputación (provincial council) building in Zamora, on deposit from the Prado; and in that of 1899 he won another medal third-class for Un paisaje (“A Landscape”). 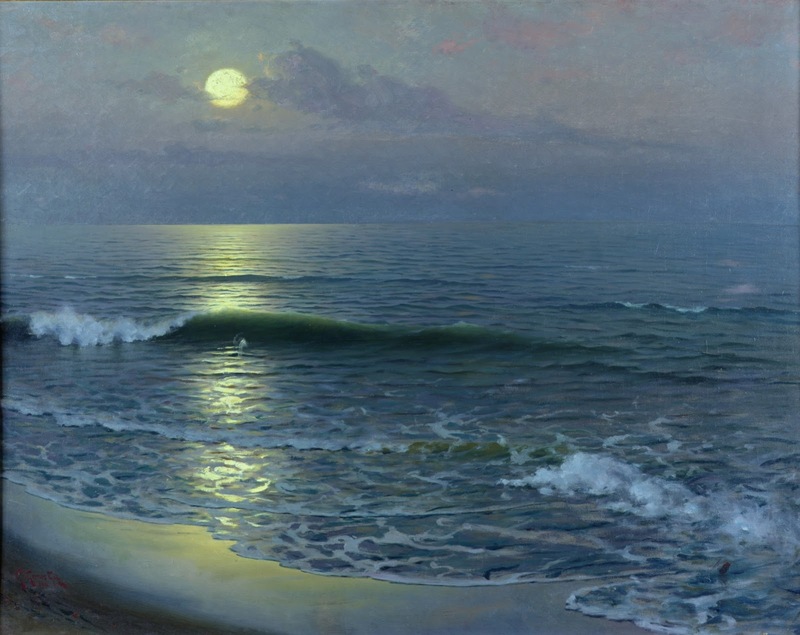 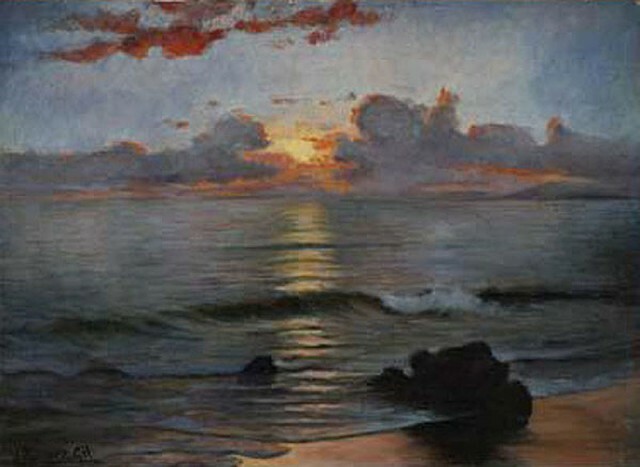 The Museo Municipal de San Telmo in San Sebastián holds in deposit Sol poniente (“Setting Sun”), a seascape shown at the National Exhibition of 1908 and acquired by the government. 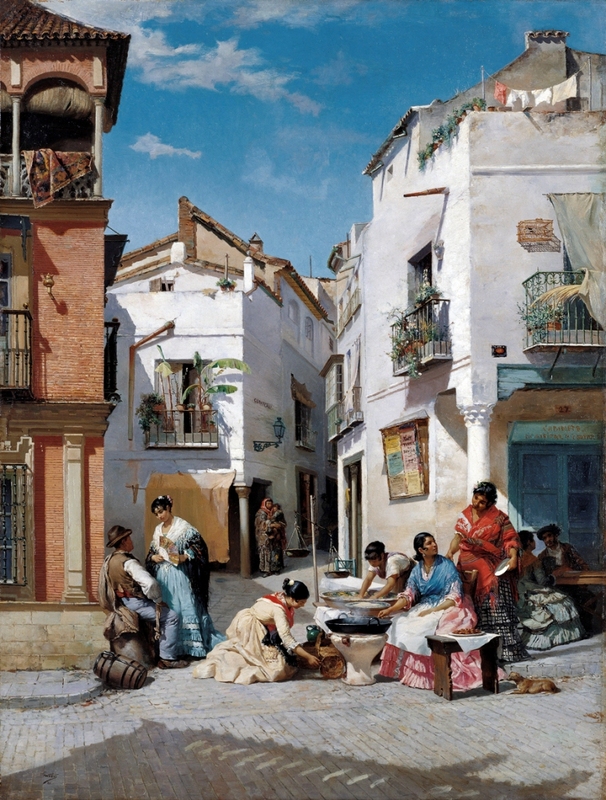 In Madrid he combined easel painting with decorative painting and in 1898 he decorated the ceiling of the Macarrón paint shop in Calle Fuencarral. 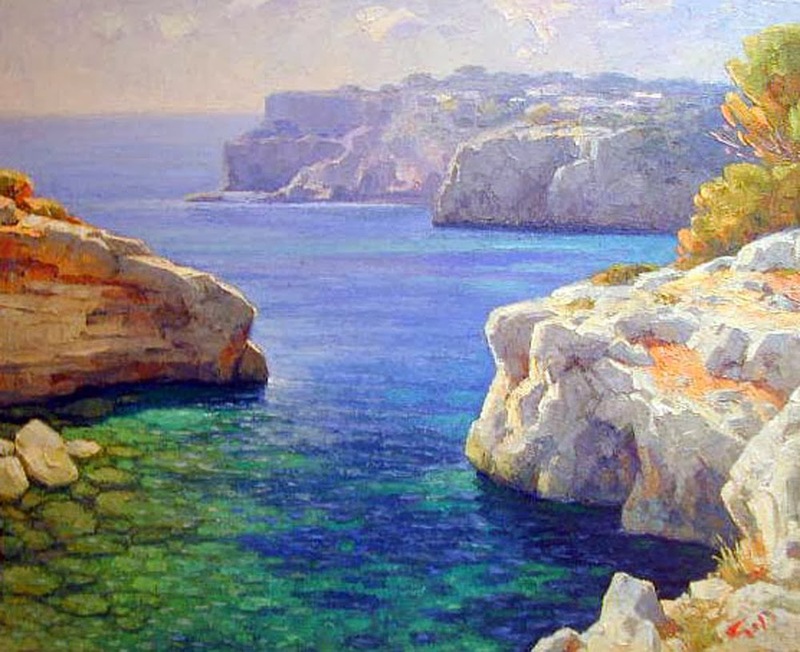 In 1910 he secured the post of instructor in perspective and landscape at the School of Industrial Arts in Seville and settled in that city. 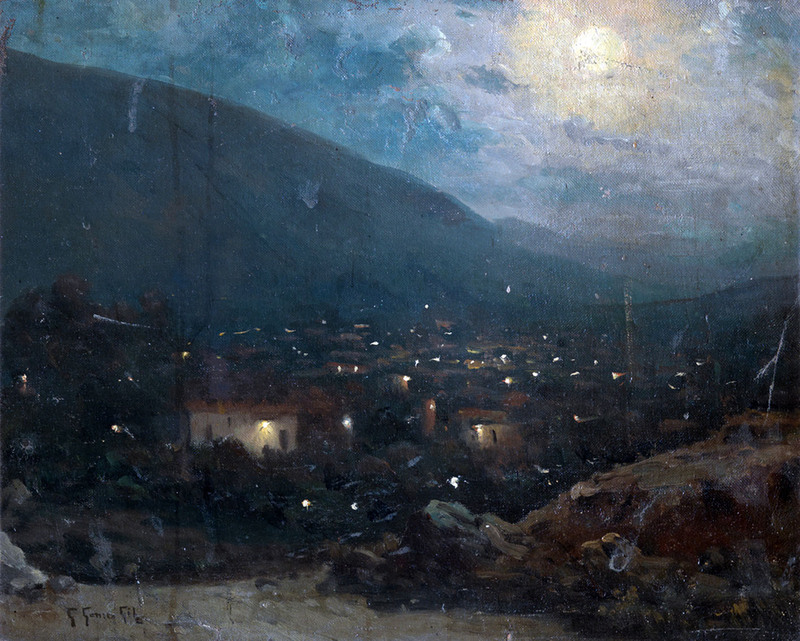 From there he remained in contact with the capital, continued to take part in the National Exhibitions and developed closer contacts with Malaga, where he exhibited his oeuvre at the exhibitions organised by the San Telmo Academy in 1916, 1922 and 1923, as well as in Seville. 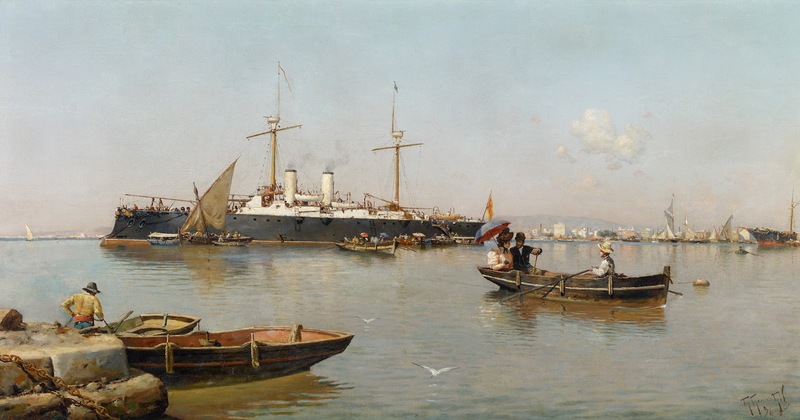 After retiring he divided his time between Seville and Cadiz, where he died on 6 January 1942. 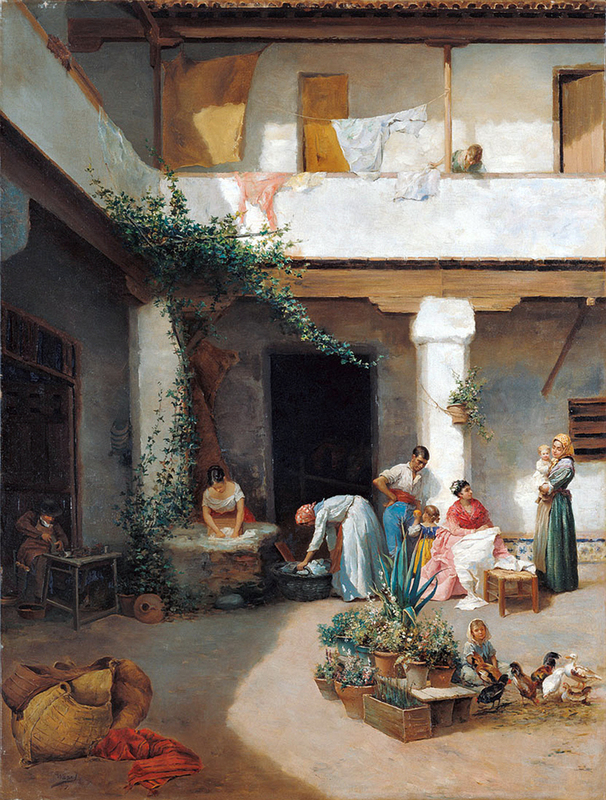 | Teresa Sauret Guerrero © 2011 Museo Carmen Thyssen Málaga. España.